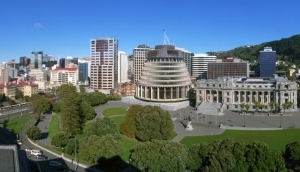 As the capital of New Zealand, Wellington has a rich political history with some stunning architecture on display, best seen with the Parliament Buildings located in the suburb of Thorndon. You can't come to Wellington without checking out the many Wellington Museums. Culture, history, art, the film industry, it's all here in spades. Most museums have great coffee shops and gift stores, too. Culture and heritage attractions in Wellington offer treats for everyone from history buffs and art lovers, to music fans and movie addicts. Te Papa is the major museum here, containing everything you ever needed to know about New Zealand, young and old. The waterfront area around Jervois Quay and Customhouse Quay has a number of museums close to each other including Wellington Museum which is dedicated to the history of the city and the National Portrait Gallery. Many museums are free, or have a nominal entrance fee.